More so than The Force Awakens or Rogue One, The Last Jedi's script by Rian Johnson (with some key input from his cast) is full of great lines of dialogue, some applicable to real life, others wholly specific to the Star Wars universe. 20. "She's running away." "No, she isn't." 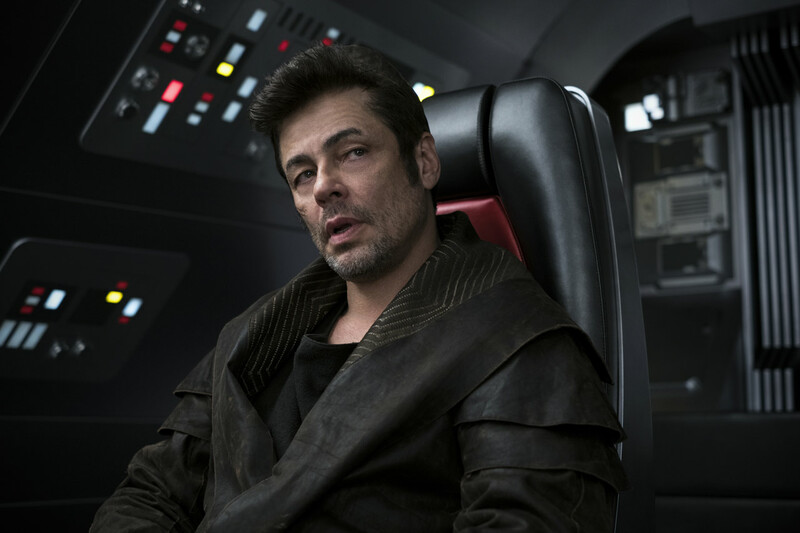 From a Resistance transport, Poe and Lieutenant Kaydel Connix (Billie Lourd, Carrie Fisher's daughter) watch as Admiral Holdo turns around the Raddus. 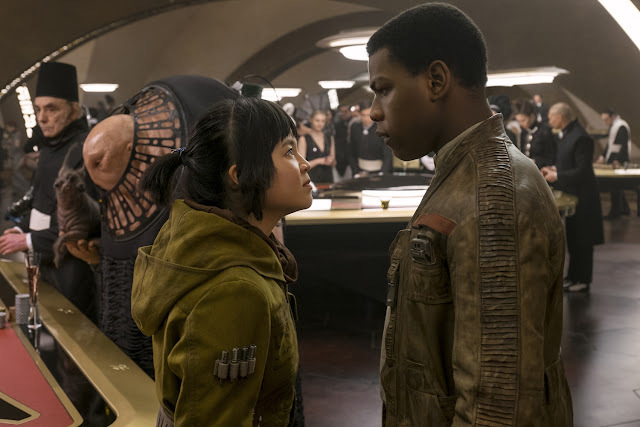 Connix suspects that she's fleeing the Resistance at their most desperate moment, but Poe defends the Admiral, realizing that she's planning a kamikaze maneuver to save them from the Supremacy's barrage. It's at this moment that he accepts that Holdo's not a coward or a traitor; she's the bravest and most cunning out of all of them. The vagueness and brevity of this quote is what makes it the closest thing The Last Jedi has to a new feminist motto. It could apply to any woman whose boldness and selflessness is misinterpreted as weakness; who "runs away" only so she can strike back harder. 19. "You were always scum." "Rebel scum." 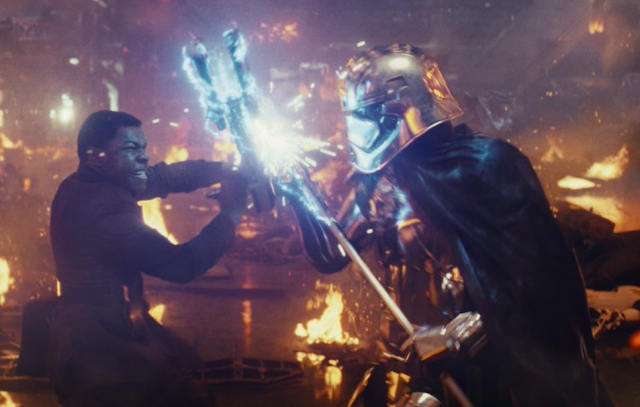 Phasma gets one last verbal jab at Finn after he wallops her in the head with his riot baton, exposing part of her face for the first time. Her venomous tone contrasts with Gwendoline Christie's beautiful blue eye that finally reveals itself. A weaker villain would be begging for their life at this moment, but Phasma instead chooses to burn Finn one last time before she herself is engulfed in flames. Finn's response, while cheesy, is a callback to the Emperor's famous "Rebel scum" line from Return of the Jedi. It took him a while to make up his mind, but now he's a Rebel through and through. 18. "You think you can turn him, you pathetic child. I cannot be betrayed. I cannot be beaten. I see his mind, I see his every intent. Yes, I see him turning the lightsaber to strike true. And now, foolish child, he ignites it, and kills his true enemy!" Snoke's last words are oozing with arrogance as he gloats in front of Rey. It's a monologue that declares his own invincibility mere moments before Kylo impales Snoke with the Skywalker lightsaber and then slices him in half to finish the job. 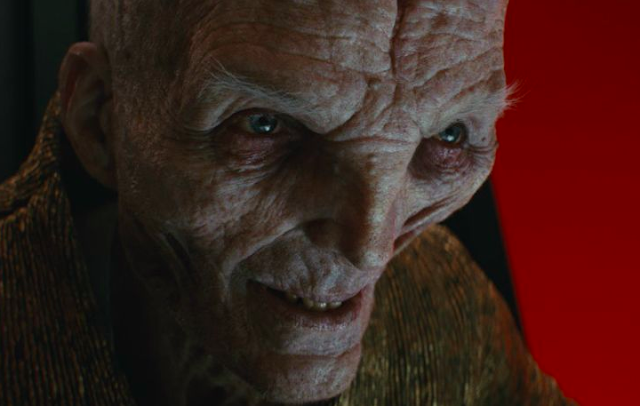 Like the Emperor, Snoke's overconfidence is his downfall. The key to this quote, of course, is that Snoke isn't wrong in the intent he senses in Kylo; he's just misinterpreting where it's directed. Kylo's true enemy is the master who manipulates him and uses him for his raw power, not the beautiful girl who relates to his identity crisis. 17. "Hope is like the sun; if you only believe in it when you can see it, you’ll never make it through the night." When Poe challenges Holdo's seemingly-passive strategy of escaping the First Order's fleet, she pulls out this Leia quote that she used to hear when under her service many years ago. 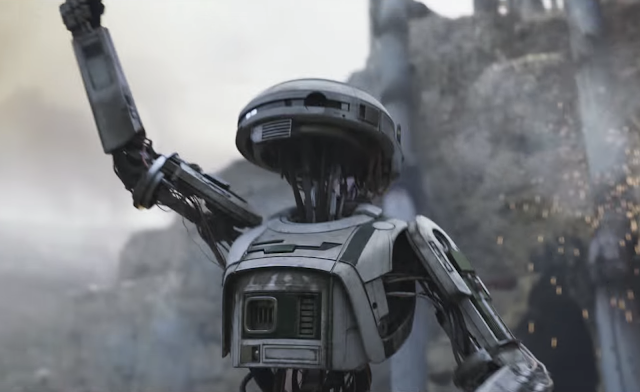 Poe finishes it for her, revealing the one thing the two characters have in common: a deep respect for the legendary general. Even while comatose, Leia's words still manage to inspire hope and bring people together. Of course, this line would be more powerful if it were spoken at a more critical moment, or if we had ever actually heard Leia say it herself. And it's not nearly as neat and concise as "rebellions are built on hope," the standout quote from Rogue One. But the message of this quote is a much more specific and practical one: you can't lose hope of better things on the horizon just because things look bleak at the moment. 16. "You didn't fail Kylo, Kylo failed you. I won't." The key to Luke and Rey's relationship is his fear of repeating the horrors he once endured at the hands of another apprentice who had the same "raw power" as Rey. As he confesses to her in the cave on Ahch-To, he feels completely responsible for Kylo's turn to the Dark Side. She confidently refutes him with this line, telling him that it was Kylo's fault, not his, and that she won't make the same mistakes. Rey later reverses her position after hearing Kylo's side of the story, but her words in this scene are still the truth that Luke needs to hear. Kylo's fall was predestined by his "mighty Skywalker blood" and the hubris that came with it, as well as his own weakness that drew him to the Dark Side. 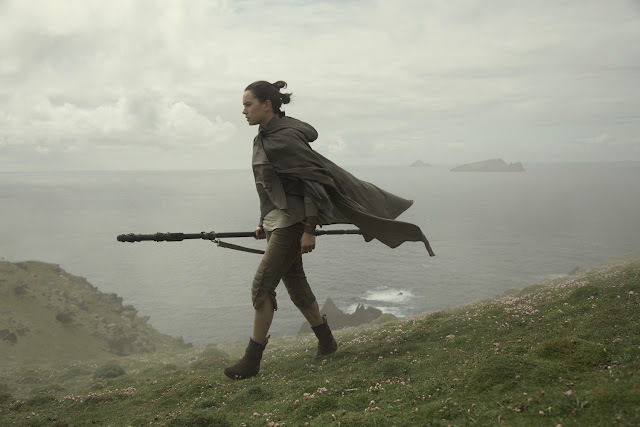 Rey – who grew up with exactly zero privilege on Jakku – is the future of the Jedi Order, and despite whatever trauma Luke endured in the past, he should put his faith in her. And he ultimately does. 15. "See you around, kiddo." 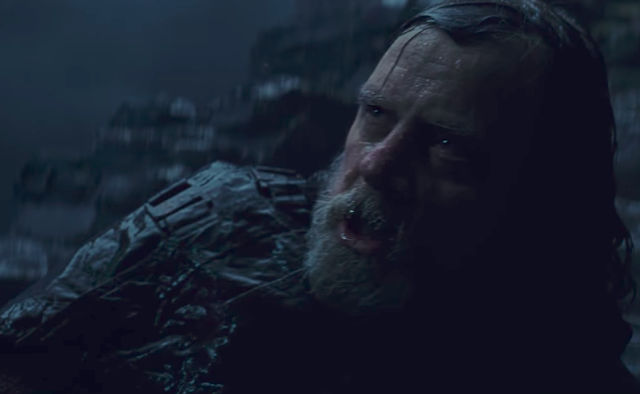 Having successfully trolled Kylo and wasted his time so that the Resistance could escape the Crait base, Luke says goodbye, before vanishing into thin air. His final words to his nephew are hilariously condescending, hitting home the message that Kylo is still just an angry child. 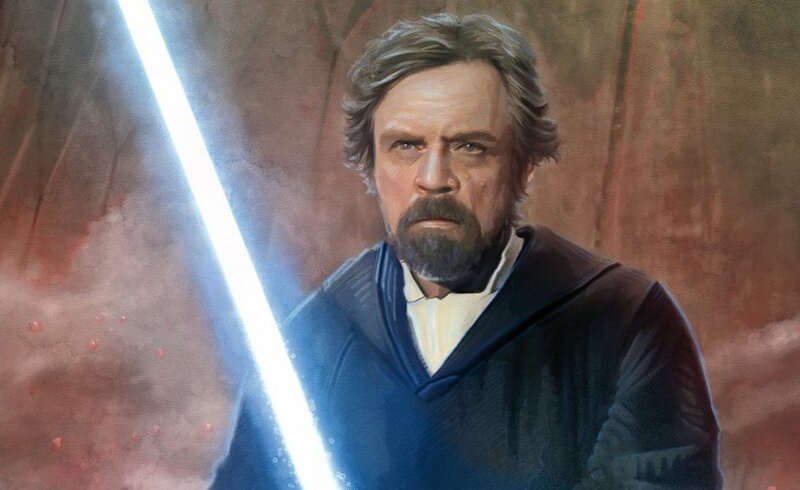 Unless Luke is using this expression loosely, it's confirmation that he'll return in Episode IX in Force ghost form. He seems to have every intention of (literally) haunting Kylo. Maybe he can even learn a trick from Yoda and summon a lightning bolt to blast his nephew. 14. "Too many losses... I can't take any more." "Sure you can. You taught me how." When Holdo reveals to Leia that she plans to stay behind on the Raddus and sacrifice herself to divert the First Order's attention, Leia is wary of the thought of another loss. At this point in her life, she's lost her birth parents, her adoptive parents, her homeworld, her son (metaphorically), her husband, and her brother (metaphorically, then later in the movie, literally), as well as countless other friends over the years. But Holdo reminds Leia that she's always been one to roll with the punches. It's a beautiful moment that highlights the way that these two women support and learn from each other. 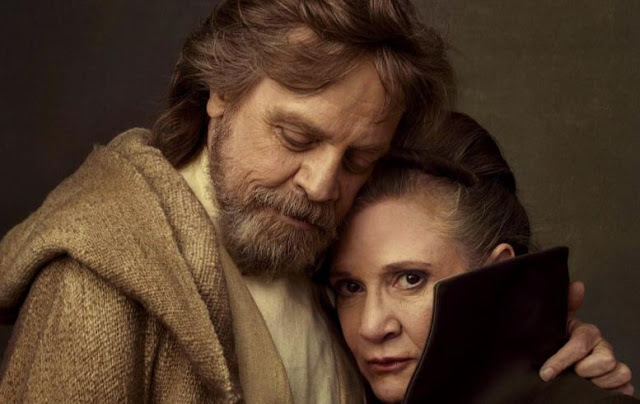 What makes it all the more touching is that this entire scene was actually written by Rian Johnson, Carrie Fisher, and Laura Dern. 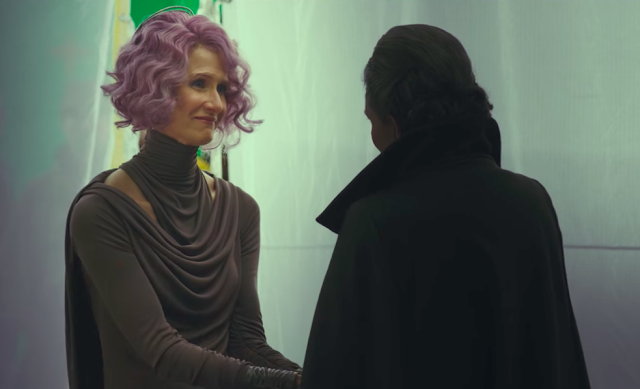 The admiration and gratitude that Holdo expresses for Leia, both through her dialogue and her performance, is a reflection of how Dern really felt about working with Fisher. 13. "The greatest teacher, failure is." 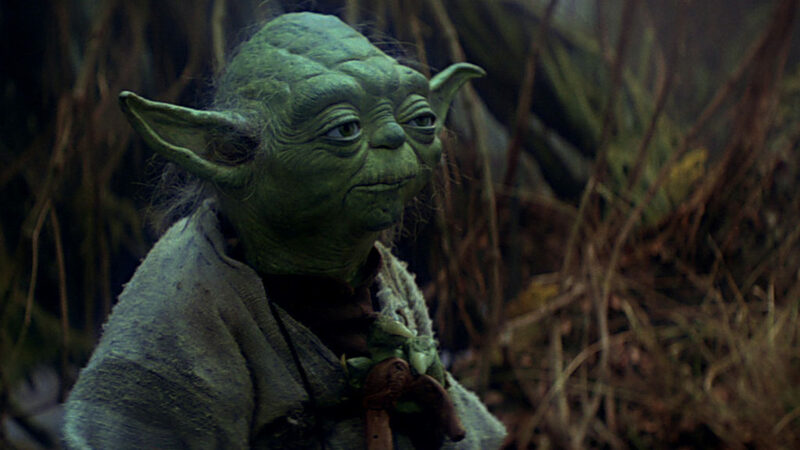 In his classic backwards-talk, Yoda advises Luke to accept his failings. Luke failed to teach Kylo and in some ways, he fails Rey, too, by refusing to believe in her. 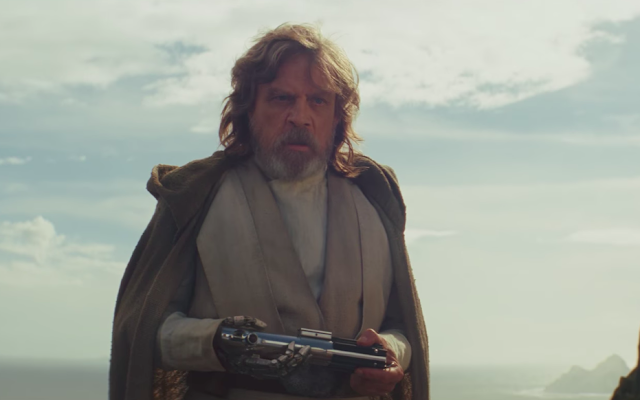 But every mistake is a learning experience, and Luke learns to stop being bitter and return to help his sister and the Rebellion at the end of the movie. In a broader context, the Jedi Order failed so that Luke could correct it. He's the only Jedi who fully recognizes the faults of the Order and actually does something about it. At the end of the movie, he stalls Kylo with deception, not violence, because Jedi are supposed to be peacekeepers, not warriors. And he teaches Rey the mistakes of the Jedi so that she can restart the Order the right way. 12. "It's all a machine, partner. Live free, don't join." Aboard DJ's stolen ship, he shows Finn that the wealthy inhabitants of Canto Bight sell weapons to both the First Order and the Resistance, contrary to Rose's prior claim that they were only helping the bad guys. It's with this line that he explains the cyclical machine of war, with his last two words providing the basis for his acronymic name (or at least, the name the filmmakers called him, since his real name is never spoken). With the slight exception of The Clone Wars, Star Wars has never really delved into this side of war and how the galaxy's greedy upper class will perpetuate it for their own profit. DJ makes a good point that both sides of the war are funded by the same rich assholes. But when he later cuts a deal with the First Order that allows them to fire upon the defenseless Resistance ships, Finn realizes that this war is primarily a matter of right and wrong, and he chooses the good guys. 11. "This is not going to go the way you think!" This is Luke's harsh warning to Rey when she reveals her plans to turn Kylo to the Light. 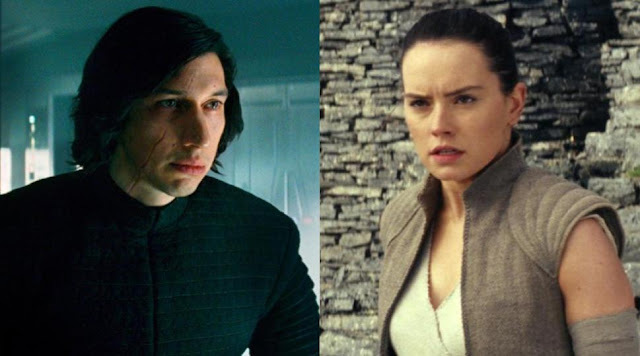 And his words ultimately ring true; Rey succeeds in turning Kylo against his master, but quickly realizes that he's only doing it because he's fallen in love with her, not because he can actually be brought to the Light Side so easily. But this line is most memorable as an obvious meta message to the audience, telling us to doubt any predictions we have. Once again, it's accurate. This movie really doesn't go the way we think, as evident in twists such as Leia's miraculous recovery from near-death, Kylo's murder of Snoke, and Luke's Force projection trick. 10. "I know what you're gonna say. I changed my hair." The first dialogue that the Skywalker twins exchange after many years apart is a joke from Leia that pokes fun at her long history of elaborate hairstyles. 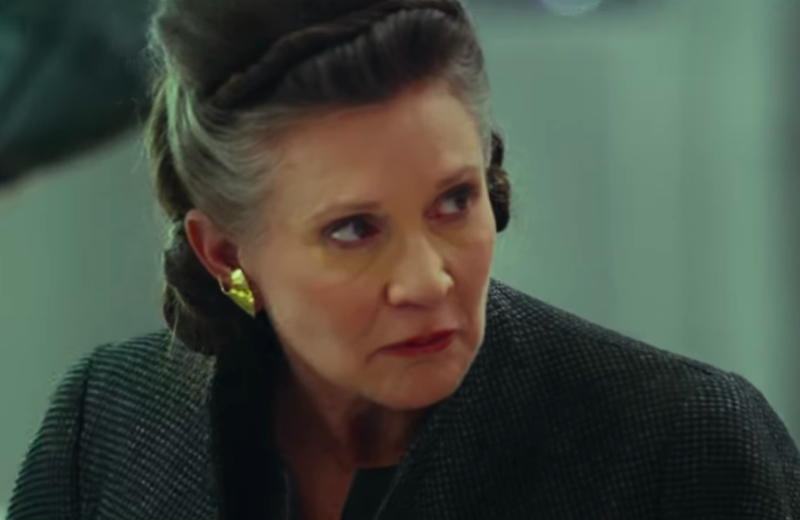 It's also a strong callback to her reunion with Han in The Force Awakens, in which his first words to her were "You changed your hair." It's a genuinely funny moment that breaks the tension in an otherwise somber scene and brings an element of humor back to Leia's character. Perhaps the best part about this line is that it was conceived entirely by Carrie Fisher, who collaborated with Rian Johnson on much of her character's dialogue. She managed to incorporate some of her own famous humor into one of the film's most emotional scenes. And it's nice that she was able to laugh about the many bizarre Leia hairdos that she had to endure. 9. "It's time for the Jedi to end." 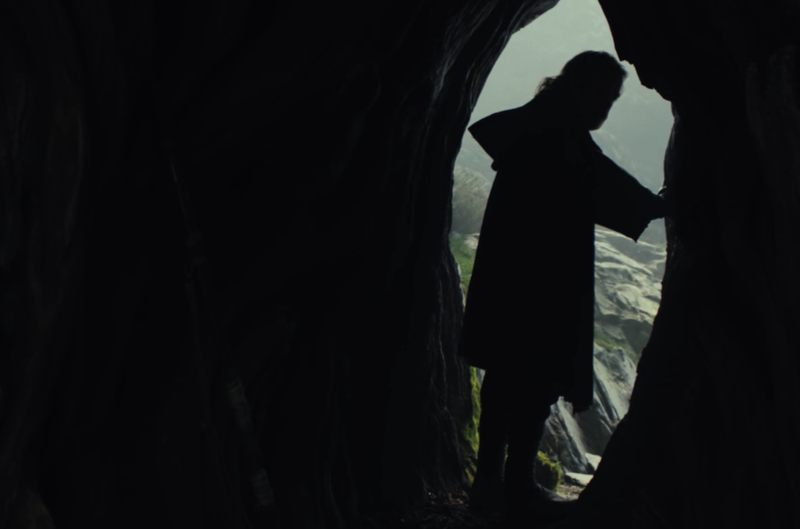 Luke's haunting words brought The Last Jedi's first teaser trailer to a close in an epic way, seamlessly tying it back to the film's title. We didn't get a clear look at the old Jedi master, but this quote told us a lot about his jaded personality and inspired endless speculation – including an in-depth analysis of the Order's flaws on this very blog – about why the Jedi needed to end. In the context of the film itself, this line just means that the hypocritical institutions of the Jedi have to end, not that the Order itself should be completely dismantled. These words are most significant as an iconic part of The Last Jedi's earliest marketing, in the same way that "This is a rebellion, isn't it? I rebel" was at one point synonymous with Rogue One. 8. "You have no place in this story. You come from nothing, you're nothing...but not to me." Reylo confirmed! When Rey refuses to forget about her friends and join Kylo, he tries to break down her confidence by forcing her to accept that her parents are nobodies—the truth that she's known all along. His words are condescending and degrading at first, but then morph into comfort as he seems to reveal his romantic feelings for her. But Kylo isn't the only one who views Rey as more than nothing. 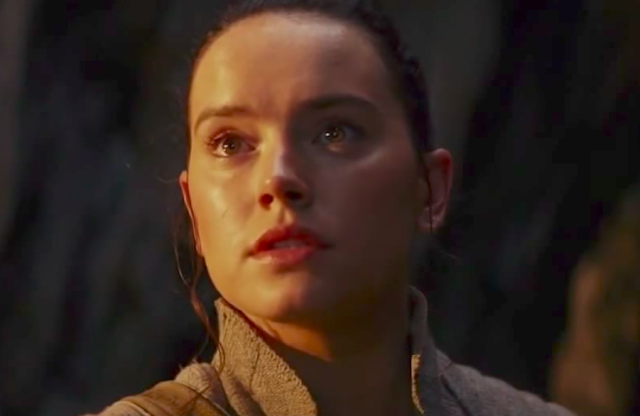 Finn, Chewie, Leia, Poe, and the rest of the Resistance know and respect her as the hero who helped deliver the map to Luke Skywalker and destroy Starkiller Base. It's because of these friends that she ultimately rejects Ben Solo. 7. "We are the spark that will light the fire that will restore the Republic. That spark – this Resistance – must survive. That is our mission." Holdo's introductory speech ends with this mission statement of what the Resistance is supposed to be: the catalyst that returns liberty and democracy to the galaxy. 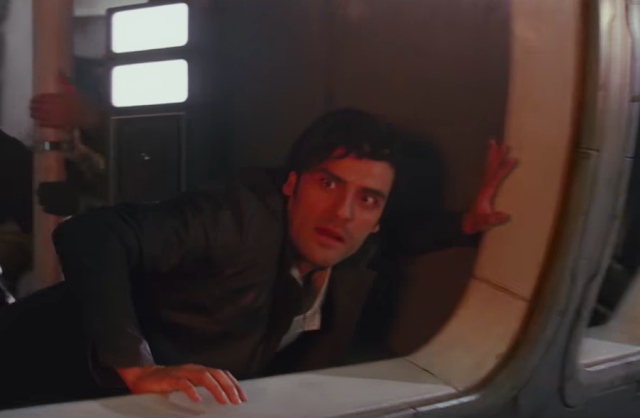 Later on Crait, Poe repeats this line with his own spin on it, saying that this fire will "burn the First Order down" rather than "restore the Republic." It's another testament to the respect he's developed for her—even if he's still tweaking her words a bit. Poe's version (the one that was heard in the trailers, because it's more exciting) has a more violent and destructive connotation than Holdo's original quote, but it still follows her general message of starting a larger movement. "The spark" is the Chosen One prophecy for a new generation; it's not about one individual, it's about old legends and new heroes working together to reignite hope for the whole galaxy. 6. "Luke, we are what they grow beyond. That is the true burden of all masters." 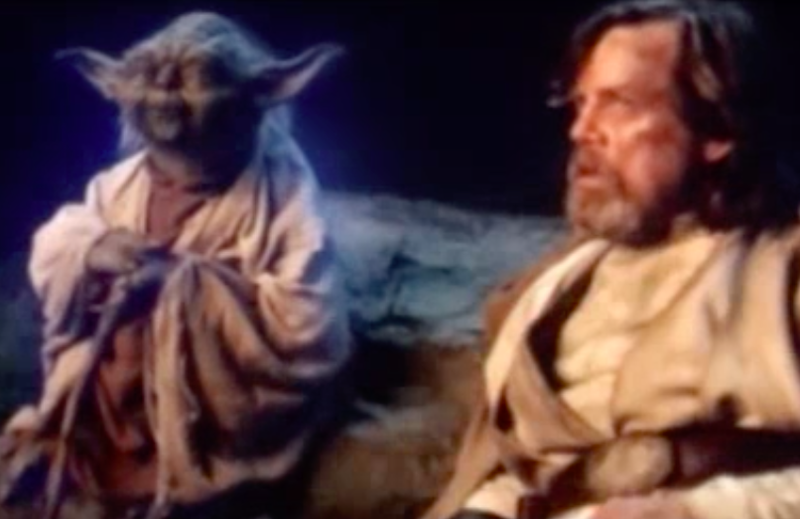 Yoda's final words to Luke in their scene together apply to all master-apprentice relationships in Star Wars. Masters always feel responsible for what their apprentices become; Anakin was haunted by Ahsoka after she left the Jedi, Obi-Wan had to struggle with guilt about Darth Vader, and Luke regrets his mistakes in teaching his nephew. Even Snoke and Palpatine were defined by the evolutions of their students when they were spontaneously killed by them. As the master who taught thousands of Jedi over the years, no one understands this better than Yoda. For better or for worse, apprentices always grow beyond their masters' teaching and find their own place in the galaxy. It's a burden that weighs on all masters, but Yoda is encouraging Luke to accept it and move on. 5. "We have everything we need." At the end of the movie, Rey asks Leia how they can rebuild the Rebellion, and this is her comforting response. It's an assurance to both Rey and the audience that even though they lost their entire fleet, two secret bases, and at least 90% of their total membership (including most of their top leaders), the Rebellion is in fine shape. 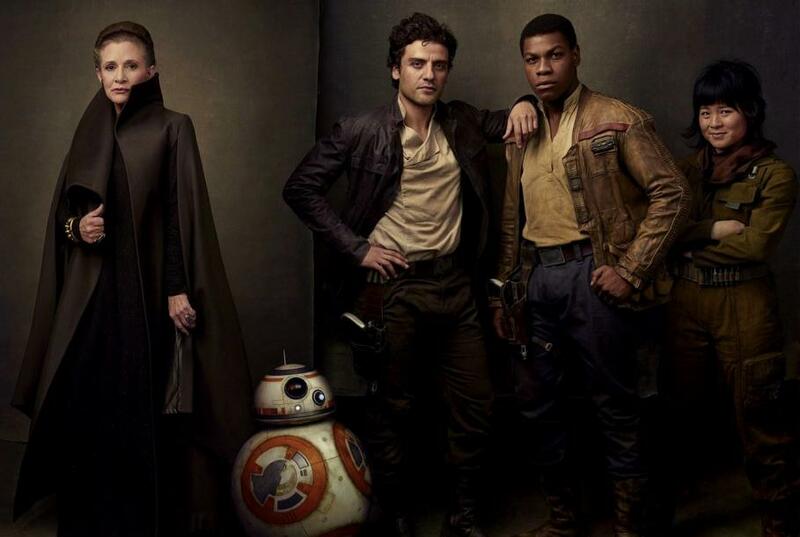 And Leia's not wrong; they have both an iconic general (Leia) and a young leader ready to take her place (Poe); a new Jedi to train the next generation (Rey), as well as the original Jedi texts to learn from; two halves of a lightsaber; a reliable ship (the Falcon) and its ace pilot (Chewie); at least a couple of brave fighters (Finn and Rose); three droids for comic relief; and a handful of Resistance redshirts to round out the herd. 4. "No one's ever really gone." When Leia tells Luke that she's accepted that her son can't be saved from the Dark Side, this is his response, hinting that Kylo still has a chance at redemption. He then hands her Han Solo's golden dice (or at least, a Force projection of them), wordlessly changing the subject to her dead husband and reminding her that his spirit lives on. It takes an even deeper (though unintended) meaning in the context of Carrie Fisher. If she can give such a wonderful performance on the big screen almost a full year after her death, then maybe death isn't such a permanent end after all. As long as we have the memory of the ones we've lost, they're never really gone. 3. "Let the past die. Kill it, if you have to. That's the only way to become what you were meant to be." Kylo says this to Rey during their third Force vision encounter. Forgetting the past is a key theme for both of them. 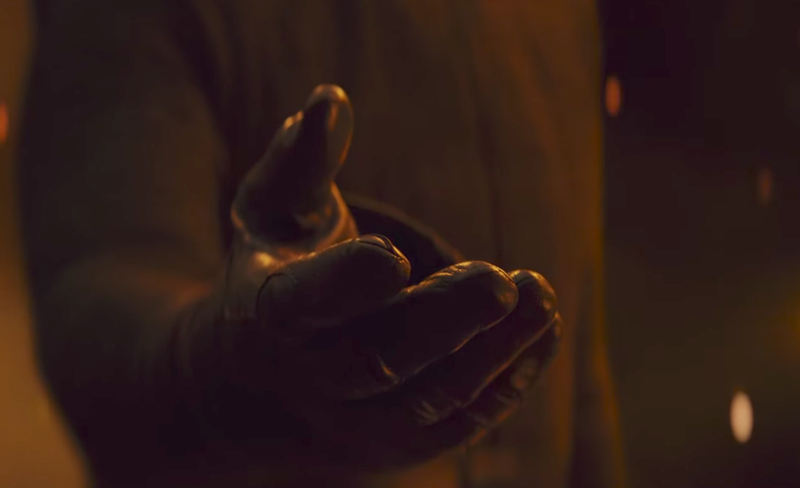 For Kylo, it means to literally kill his parents, as well as Snoke and Luke, old men who tried to control him. But for Rey, it means to stop holding on to her past—specifically, the identity of her parents. She can only become what she was meant to be – the galaxy's next hope and the founder of the new Jedi Order – by accepting that they were "nobody" and moving on. Kylo rephrases these words in more detail later in the movie: "It's time to let old things die. Snoke, Skywalker, the Sith, the Jedi, the Rebels, let it all die." This time it almost seems like he's speaking to the audience, telling us to forget about the Star Wars nostalgia that we love and accept that the Sequel Trilogy is going in new directions. 2. "I saved you, dummy. That’s how we're gonna win. Not fighting what we hate. Saving what we love." When Finn has the audacity to ask why Rose interrupted his suicide path to the First Order's battering ram cannon, injuring her in the process, this is her response. It's a simple but meaningful message that ties back to what the purpose of the Resistance/Rebellion should be: preserving and protecting the things they care about the most – hope, liberty, democracy, and friends and family – not just perpetuating hateful violence for the sake of victory. And Rose's words match with her own actions throughout the movie. She goes on a mission with Finn to help the Resistance freely escape, not to deal a blow to their enemies. On Canto Bight, she saves the fathiers because they're innocent creatures being abused. And she stops Finn from stupidly sacrificing himself because it ultimately wouldn't do the Resistance much good and because she's in love with him, as confirmed by her kiss that follows this line. 1. "The rebellion is reborn today. The war is just beginning. And I will not be the last Jedi." Luke's fighting words to Kylo give us the biggest hint yet at what Episode IX will be about. The rebellion is still vastly outnumbered, but Luke has no doubt that they'll get back on their feet and hit the First Order even harder. He knows that his heroism today will spread across the galaxy to future rebels such as the kids on Canto Bight. He's also promising that the conflict in The Last Jedi will be nothing compared to the full-on galactic war in the Sequel Trilogy finale. Most importantly, Luke is explicitly contradicting the name of the movie. His last few words are a voiceover as Rey levitates rocks to clear the way for Resistance, confirming to the audience that he's passing the torch to Rey as the next Jedi Knight. "The Last Jedi" is more about the (false) title given to Luke than the actual extinction of the Order. What's your favorite quote from Star Wars: The Last Jedi? Tell me in the comments or tweet to @SithObserver, and may the Force be with you all. Good movie! I love this movie a lot as the story of this movie is awesome. I love all the character of this movie all actors are doing fantastic job. Keep us entertained by such lovely movies.